Tasting salt is being widely used in most of the fast food and Chinese food items in the country to enhance their taste, posing a serious threat to public health, experts said. Regular consumption of food items mixed with tasting salt weakens the human nerve system and may even cause Parkinson’s or Alzheimer’s diseases, they said. 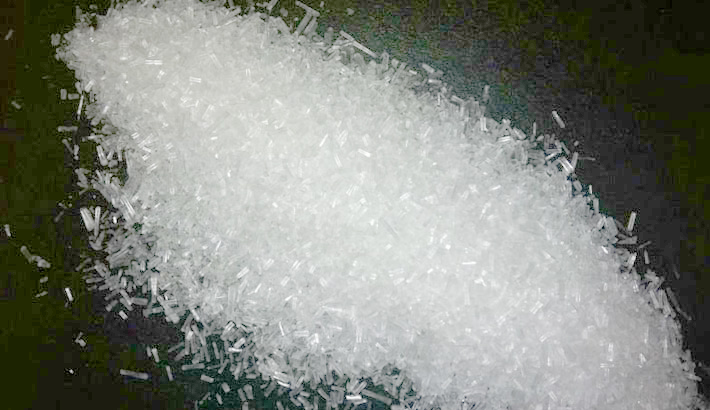 Dr Latiful Bari, principal scientist of Centre for Advanced Research in Sciences at Dhaka University, told daily sun that the generic name of tasting salt is monosodium glutamate which is used to prepare various food items at home and fast food, including Chinese food. Those who consume tasting salt regularly may lose the sense of taste in the long run and become less attentive. Food other than “Chinese” may seem less tasty to them. They will also be unable to concentrate on their studies or work, he said. Such persons get irritated very quickly. They cannot sleep well, as tasting salt affects the central nervous system of the human body, he observed. Renowned public health expert Dr Khurshid Jahan said people living in urban areas have a tendency to take Chinese food or fast food and tasting salt is being widely used in those food items. Those who take Chinese food items too often may develop some ailments as restaurants use monosodium glutamate in large quantities. Nowadays fast food outlets are also randomly using the chemical substance, she said. It is easy to understand which food items contain tasting salt as these items have a tangy salty taste. The so-called ‘potato chips’ being sold in the country contain this substance beyond permissible limit, she added.Dr Moniruddin Ahmed said regular consumption of tasting salt in food will also lead to vomiting, headache, tiredness, pressure on the chest, and burning sensation in the throat, on the palms or the sole of the feet. “What is more dangerous that people may develop Parkinson’s disease or Alzheimer’s disease and other diseases for which remedies are yet to be discovered?” he added. So, he urged everyone to give up using tasting salt while preparing food items. He also urged the government to enact a law so that the manufacturers of processed food items mention the quantity of monosodium glutamate in their products. Contacted, Director General of BSTI Iqramul Haque told daily sun that they would collect food items from the market to check the level of tasting salt used in food. “If we find more than the permissible limit of tasting salt in food, then we will cancel their licence,” he added.